Luckily, Hai Au Hoi An Hotel is located at a convenient position in Hoi An so it is considered as a wonderful inn for discovering this exciting city. When staying there, it is very easy for tourists to approach the city’s vibrant beauty ins and outs. 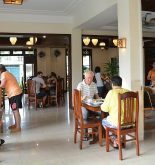 Furthermore, tourists also satisfy very much with this position of hotel due to they can visit the main attractions of city easily as Tran Duong House, Hoi An hospital. 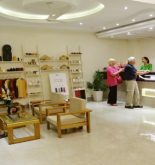 The perfect services and up-to-date equipment of Hai Au hotel will create your unforgettable vacation. It also supports a wide range of services such as restaurant, room service, safety deposit boxes, bicycle rental, 24 hour in room dining service. 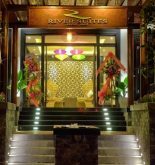 All of the tourist’s accommodation are equipped the thoughtful facilities to ensure the unbeatable comfort. The hotel’ outdoor pool is an ideal place in order to relax and unwind after a busy day. Hai Au Hotel itself is a wise choice of any tourists when visiting Hoi An due to it will create your relaxing and comfortable vacation. Address: 576 Cua Dai St, Hoi An, Quang Nam, Vietnam. The area: the city centre. 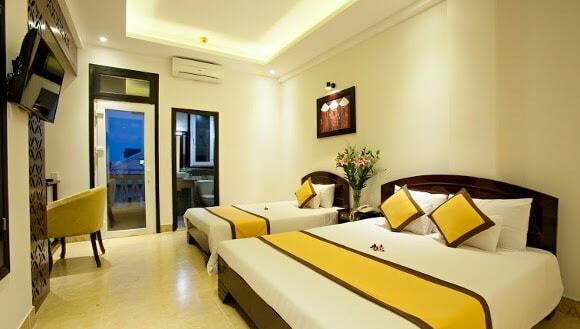 This information has been supplied by Hai Au Hoi An hotel.